Every bachelor party should be full of exciting, sparking stories that are repeated for years to come. Yet no one wants to worry about being the designated driver for a group of guys out for a night on the town! That’s why hiring a bachelor party limousine from Premiere #1 Limousine Services makes perfect sense. For more than 12 years, we have been driving grooms and their buddies around the central PA area in their choice bachelor limousine, hitting all the nightspots ensuring a fun night is had by all. Even if the bachelor party extends throughout the evening and into the next morning, our dependable chauffeurs will get you from destination to destination safely, and in style. Just contact us at (717) 616-8995 to book the best pre-wedding dudes’ night! We know that even the coolest friend of the groom has a budget to follow when it comes to the bachelor party festivities. Our bachelor party deals are specifically set up to save you money while providing the luxurious bachelor party limo you want. Everyone will be safely escorted around Harrisburg, York, Lancaster or the surrounding Susquehanna Valley communities. All you need to worry about is making sure the groom has a good time! Whether you want an exciting paintball party at Roundtop Mountain Resort, or a laid back beer tour visiting all the finest craft breweries in the area, we’ve got the perfect weekend planned for you and your party. 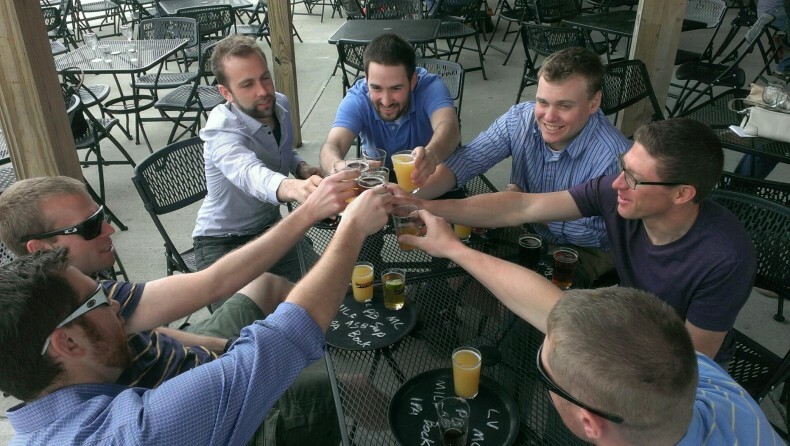 To find out about our bachelor party deals, call us at our Middletown offices at (717) 616-8995. We’ll help you figure out the right type of vehicle to make the groom’s bachelor party dreams come true! Has a well-maintained fleet of vehicles — Your limo should be clean and comfortable, with all the amenities you expect. We baby our vehicles, from luxury limos to limo buses. We want them to be spotless and drive with ease! Has a team of chauffeurs who are employed by the company — Contractors are less likely to be invested in your experience. Each Premiere #1 Limousine Service driver is an employee of our organization. Employs drivers who know how to navigate the roads in central PA. Who wants to spend time giving the person behind the wheel directions? Our drivers live in the Harrisburg, York and Lancaster area. Not only do they love to drive, but they know the best routes to take! It’s never too early to book your bachelor party limo. Snag all the Premiere #1 Limousine Service bachelor party deals today and make sure you and your buddies have the perfect celebration!